Date of Interview : 30 October 2017. Qualification : Middle (Class VIII Pass) and HMVL (Heavy Motor Vehicle Licence) & Light Commercial Transport Vehicle Licence (LMVL ). Qualification : Minimum Class X pass. Application Fee : Candidates have to pay Rs. 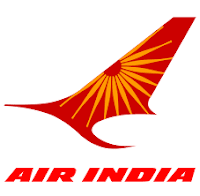 500/- through Demand Draft in favour of ““Air India Engineering Services Ltd.”, payable at New Delhi. No Fee for SC/ST. How to Apply : Interested candidates may appear for Interview along with prescribed application form and self attested copies of all certificates/ testimonials, all Original Certificates & DD at the time of Interview.